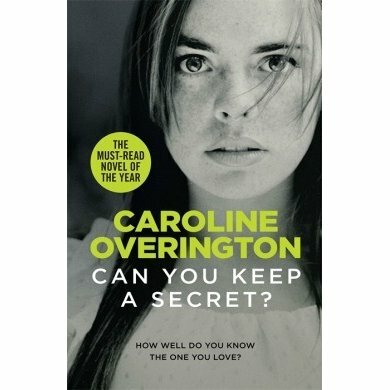 Book Review: Can You Keep A Secret? by Caroline Overington. 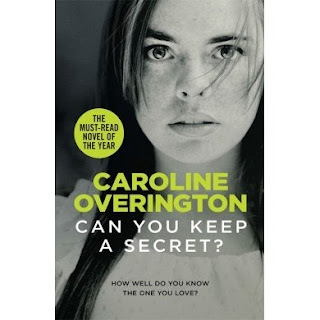 I am a big fan of Caroline Overington's. She is such a talented writer and I can't wait until April to read her latest book, The Lucky One. I just fly through her stories as they are told so well. Can You Keep A Secret? is no exception. Twenty-eight year old Lachlan J Colbert (Colby) is an investment banker working at the World Trade Centre in New York just before the millenium when his colleague Robert suggests that they take a holiday. The destination is Far North Queensland in Australia. They charter a yacht and spend days sailing along the Whitsundays. Colby meets 19 yr old Caitlin Hourigan, who is working as a deckhand on the yacht. When the yacht docks in Townsville, Colby stays at a motel and invites Caitlin to join him. She agrees, and they begin a relationship. He returns to NYC, but he is smitten with Caitlin and they remain in contact. He visits her again in the year 2000, and the following year, he pays for her to join him in New York. She is there when the tragic events of September 11 unfolds. And although both Colby and Caitlin survive, she becomes fearful and anxious, refusing to fly back to Australia. They decide to get married, but there are secrets and lies, and things are definitely not as perfect as they appear to be.. I don't want to elaborate further as I try to keep all of my reviews spoiler-free, but this book was very, very clever and it had me thinking about the story long after I'd finished it. I thought I knew how the book would end, but it was certainly different to what I had envisioned. I really enjoyed this book, and can't wait to start reading another of Caroline's novels! If you've read any of her books, I'd love to hear from you! She's a clever lady alright but I find personally when I see her on panels on TV that she is too 'bossy'. That said... many years ago she wrote one book that was memoir-like and it was of her time in NYC raising her twins. She continues to write for mainstream & social media but now I think her focus is on fiction. Thanks for linking up for #lifethisweek 10/52. Next week: My Favourite Colour. Sounds interesting, I do love her novels. This is next on my list. Thank you! I've liked most of her novels except her last one --- The one who got away. Didn't quite like it. I wish she'd stick to the Aussie locale for her books. This one sounds interesting...shouldt ry and read it.